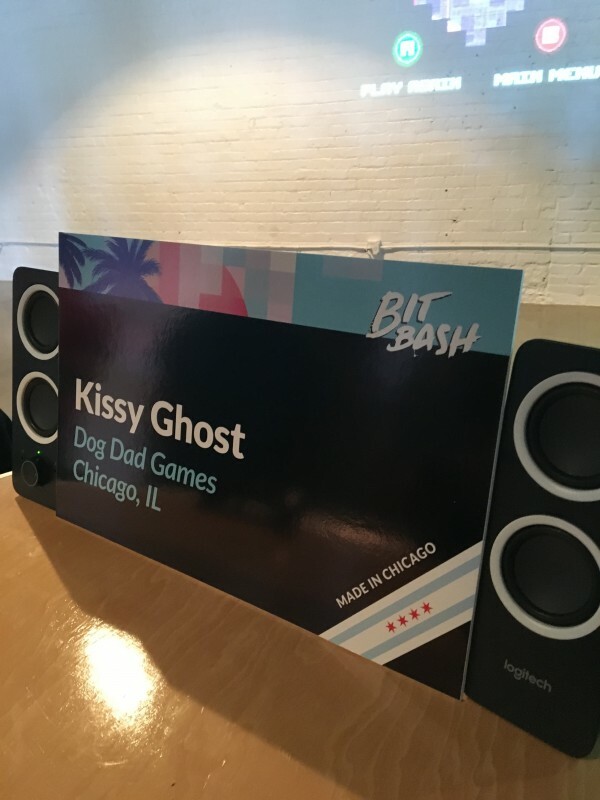 I hadn’t heard of Bit Bash until I moved to Chicago. 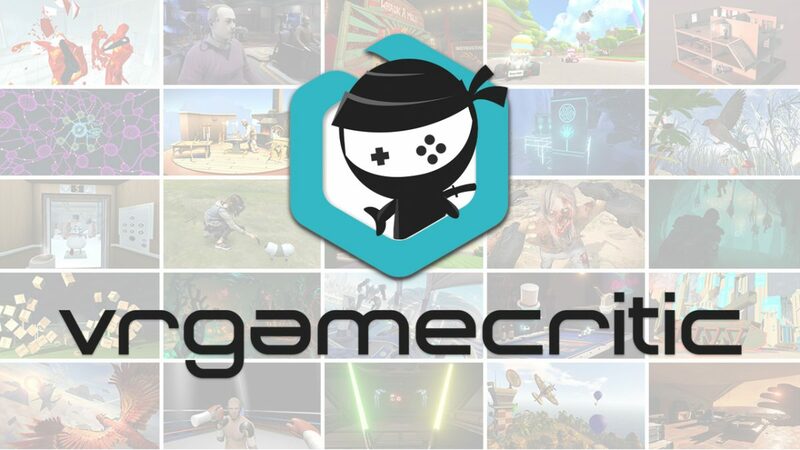 While it is a smaller event, it still manages to showcase independent game developers from around the world. 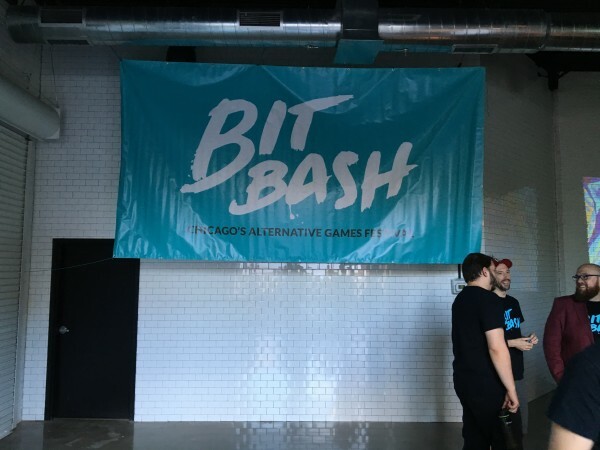 Bit Bash brings the gaming community together to show the creative side of video games. 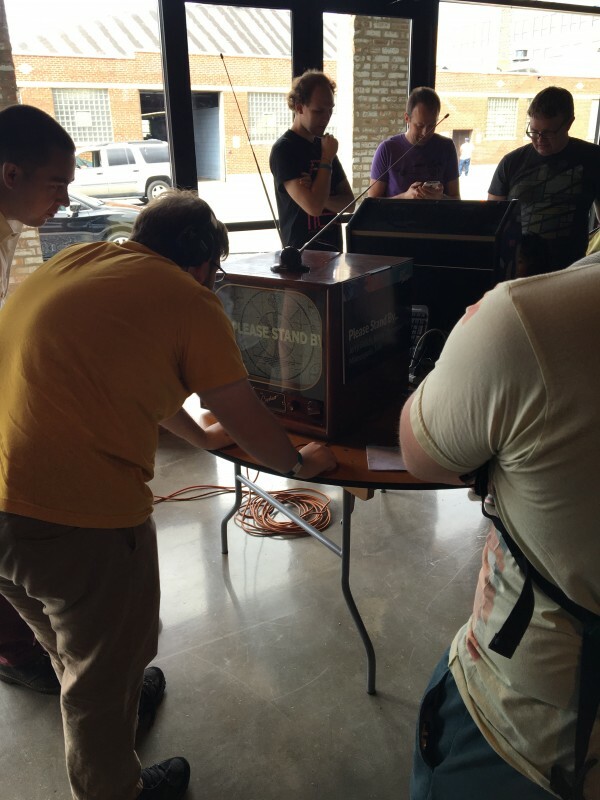 This year’s event was held in Chicago’s West Loop on Saturday, August 13. 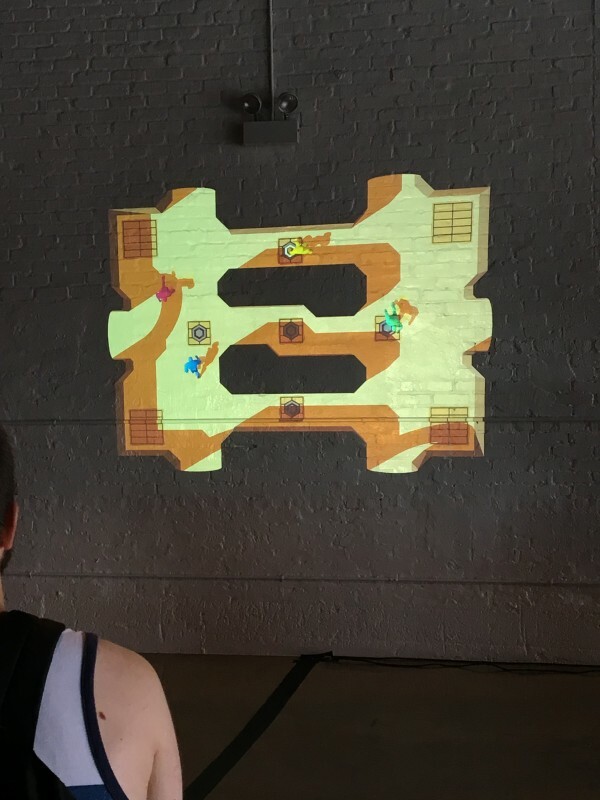 The space itself was an open-but-finished warehouse setting with white walls where the games were projected. 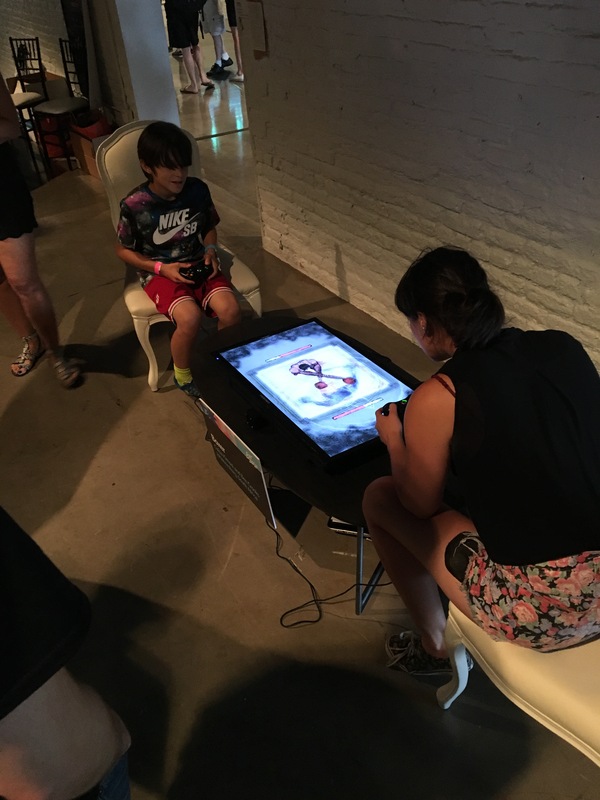 More than 50 games were on display, and I had the opportunity to give a bunch of them a try. I didn’t get a chance to do everything, but I took a look at a handful of games and want to talk about some of the highlights of the event. I flew solo, and many of the pictures to come were taken on a cell phone camera, and for that I apologize in advance. As for the rest, here’s a rundown of my experiences. 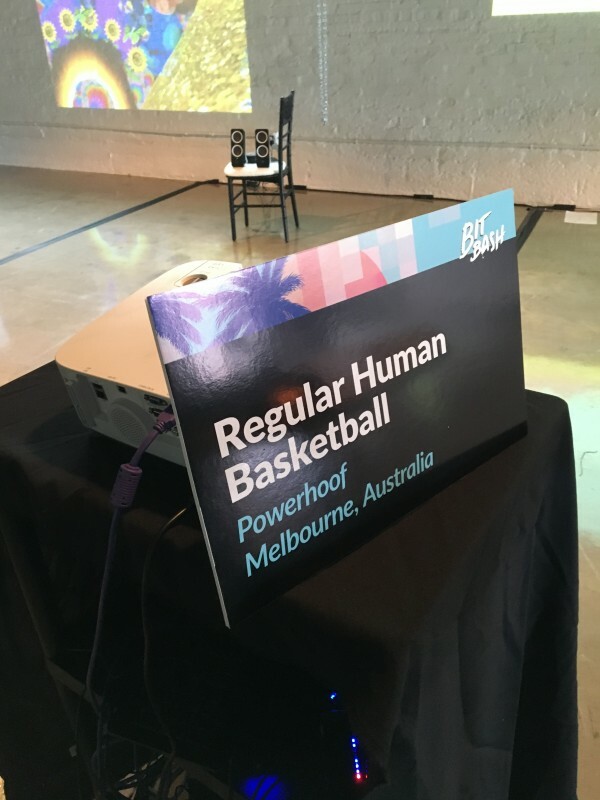 The first game I played was called Regular Human Basketball. I stepped up to the stand and grabbed one of the many controllers available. The concept was relatively simple. 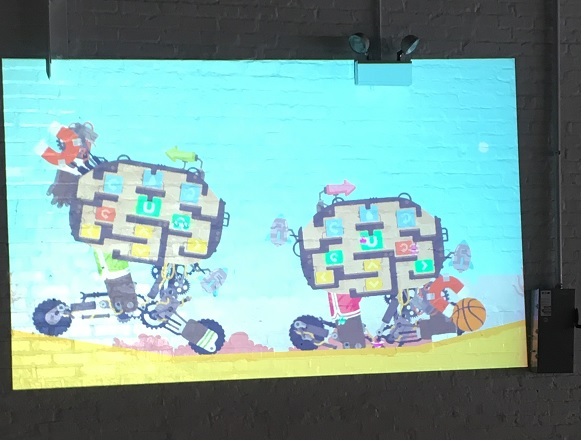 You are one of a team of tiny people inside a giant robot, and you have to work together to control the robot and get a basket before the opposing team. The outcome of the chaos being the real joy, my two-person team somehow managed to turn on our magnet and score a basket. Best of all? The game is totally free on PC at the link in the title. 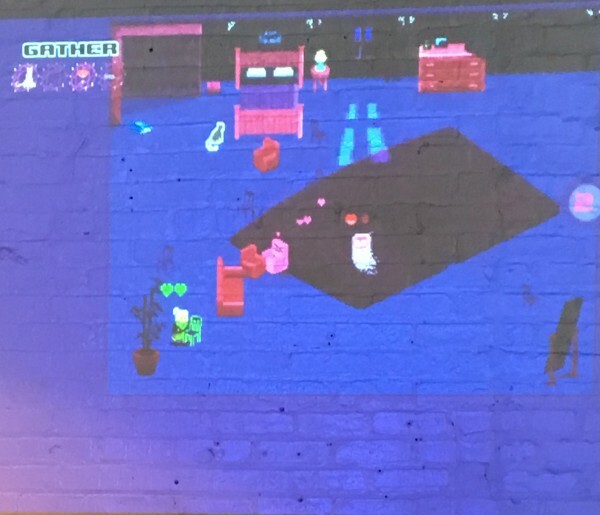 The Street Arcade took a more serious tone than many of the other projects at Bit Bash. 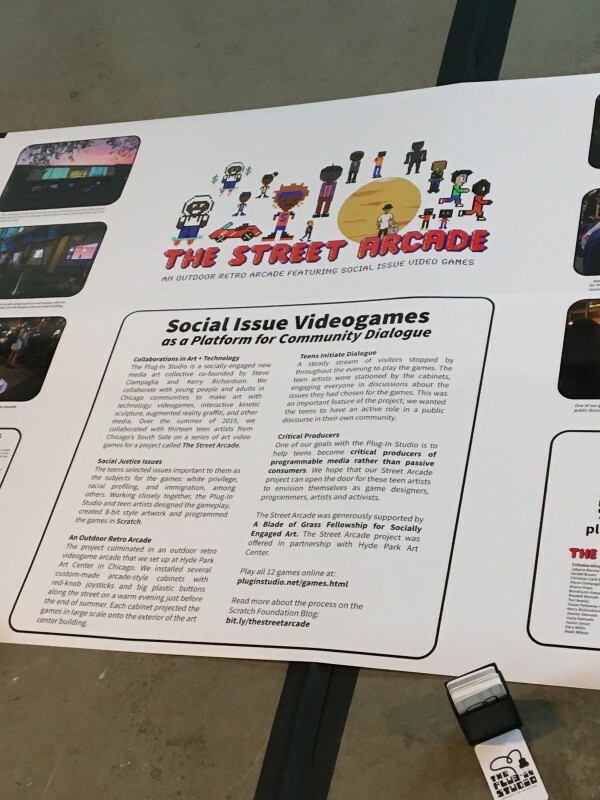 Curated by Chicago locals The Plug-In Studio, The Street Arcade was a collection of games created by students on Chicago’s south side tackling social topics. The games were crude in their presentation but they carried a powerful message. 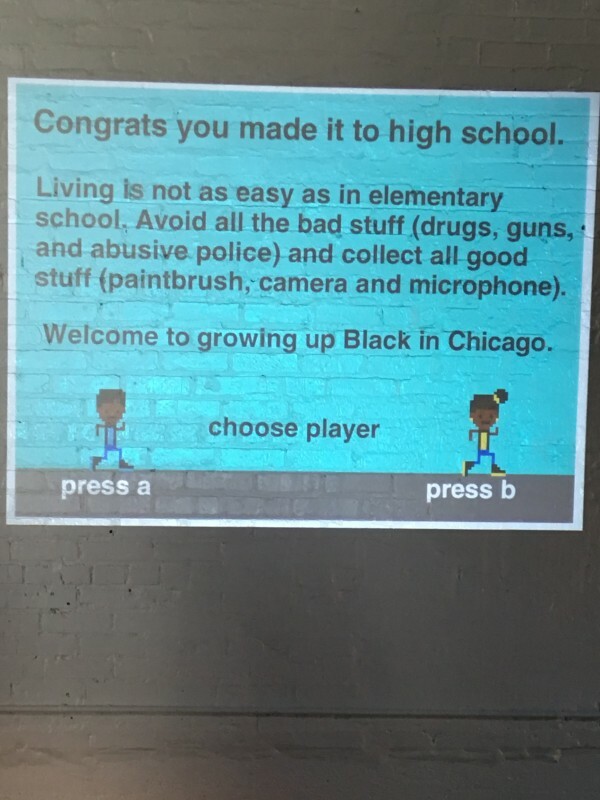 The first one I played was called Growing up Black in Chicago. Your character starts as a freshman in high school and in order to succeed you need to avoid things like drugs and guns. At the end of every segment a police officer waited. Another was called Peer Pressure all about fitting in with cliques as a high school female. 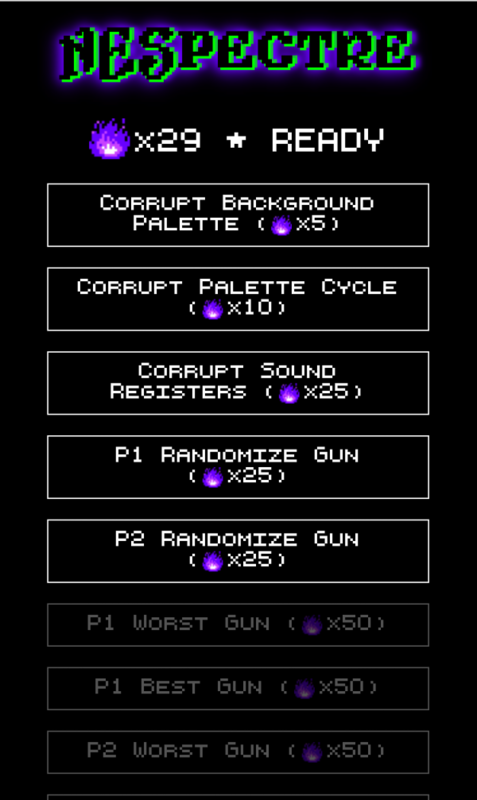 It’s a really interesting use of the medium and all of the titles can be found and played here. Kissy Ghost is adorable. 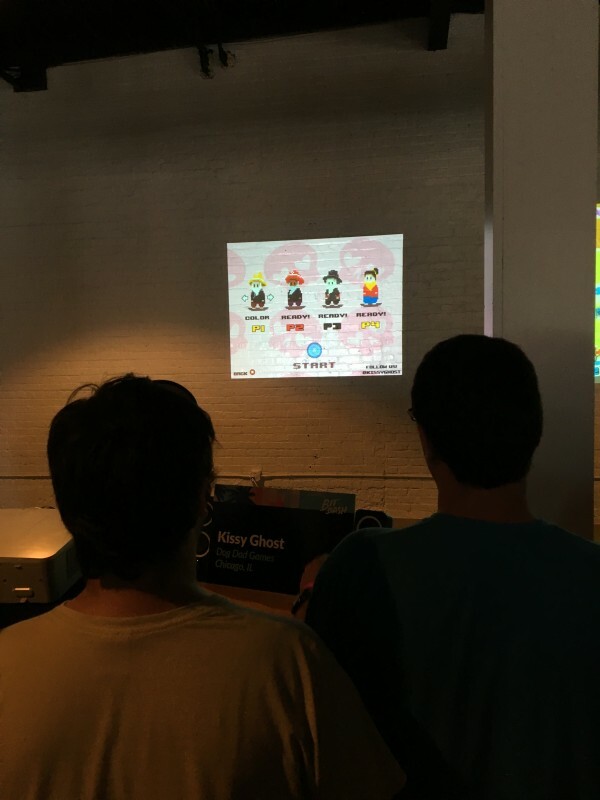 Developed by students at Columbia College here in Chicago, the game is a multiplayer game for up to four players. All players start as human and one is randomly selected to be the ghost. Your goal as the ghost is to kiss all the furniture, which turns it into pink happy furniture that attacks the humans. If all the humans are eliminated, the ghost wins! As the humans, your goal is to kick the furniture out of the way and find cursed objects like flowers to throw into the heart pentagram. If the humans gather all the items and toss them in they can escape and win. It’s a really simple idea that shows how far style points can get you. Lots of cute pixel art and a concept that could easily have been more violent sets this apart in a positive way. Heading to the larger presentation area, I came across NeSpectre. 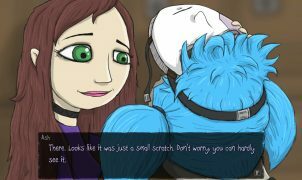 Developed by Andy Reitano and Zachary Johnson over just a few days, the NeSpectre is one of the funniest and creative ideas I’ve seen in terms of development. Replacing an original NES RAM with outside accessible RAM and a wireless adapter, the two made what acts as a live interactive Gameshark. Onlookers could tap into the wifi router RAM and control the debug feature of whatever game was being played from their mobile devices. Players were the “Spectres” haunting each game while a poor soul tried to get through Mega Man 3 or whatever was playing. 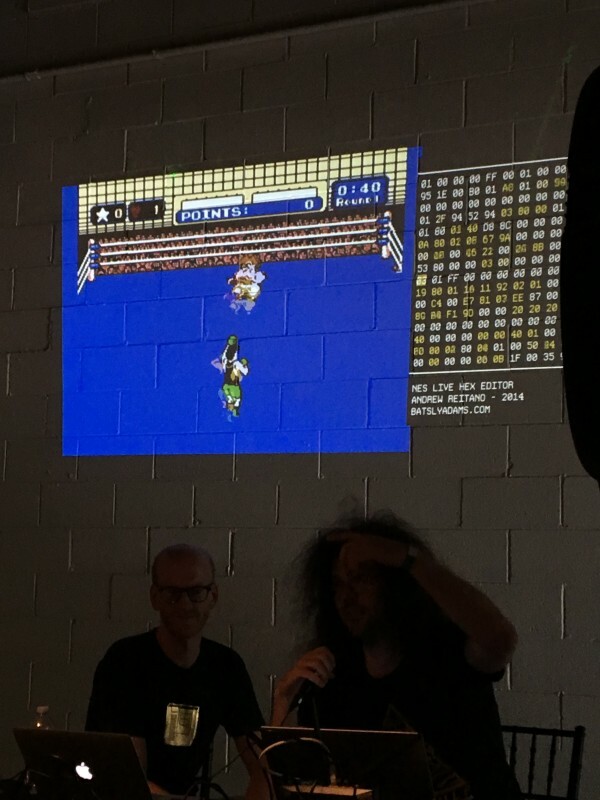 The first game I saw Spectre’d was Punch Out. Glass Joe kept changing size and eventually managed to take Little Mac out. Poor Little Mac. 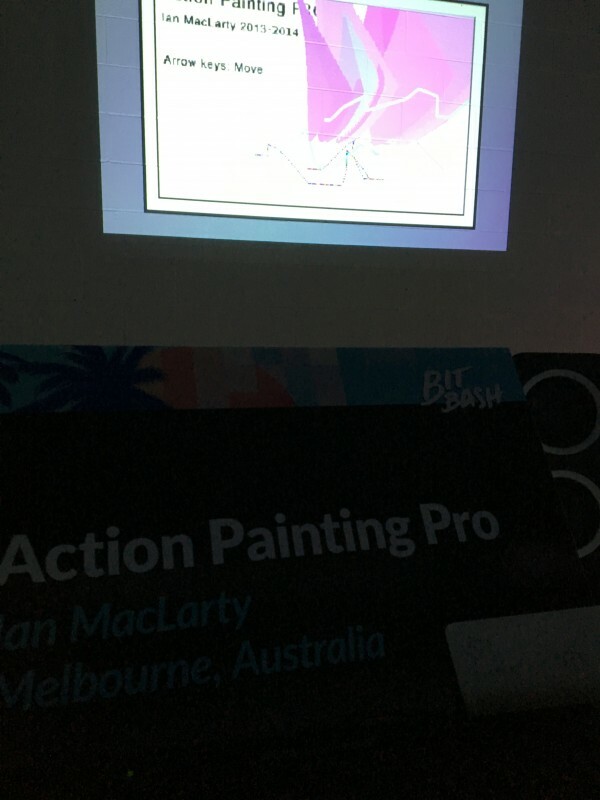 Other examples included Rad Racer, Castlevania, Tetris, and the previously mentioned Mega Man 3 and Contra. 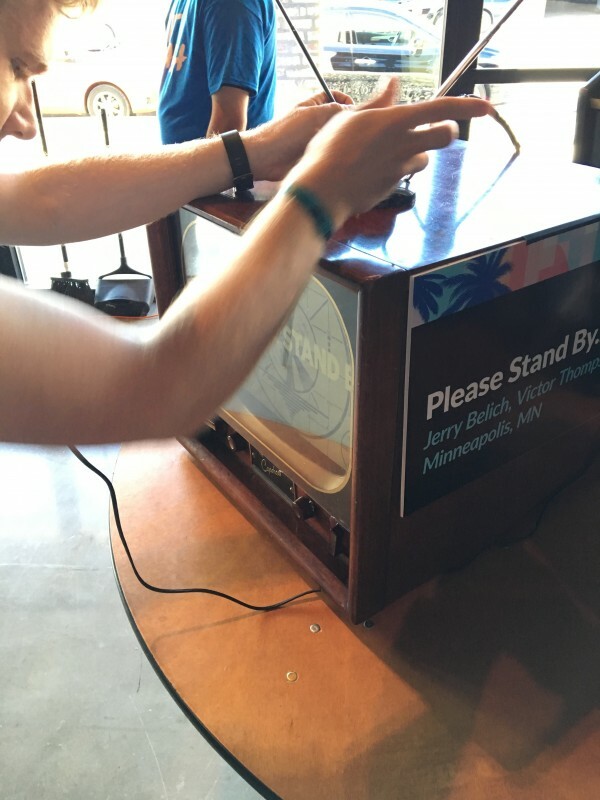 Please Stand By was one of the more creative endeavors at Bit Bash. Housed in an old-fashioned TV set, the game acts an an interactive story. Please Stand By is controlled by the various dials, antennae, and even by smacking the side of the set. This was really something that had to be experienced to be understood. As unique an example this was, I had to wait in line for a bit to give it a go. Popping on the headphones, I turned the channel, messed with the reception, and listened to the various sounds and animations. This certainly stood out as an example of how video games can be art. Don’t be fooled by the writing on the cabinet. It’s just up and down. Puser Toh doesn’t hide that it’s an anagram for Super Hot. Much like the bullet time action game, the game barely moves unless players move. The only twist? 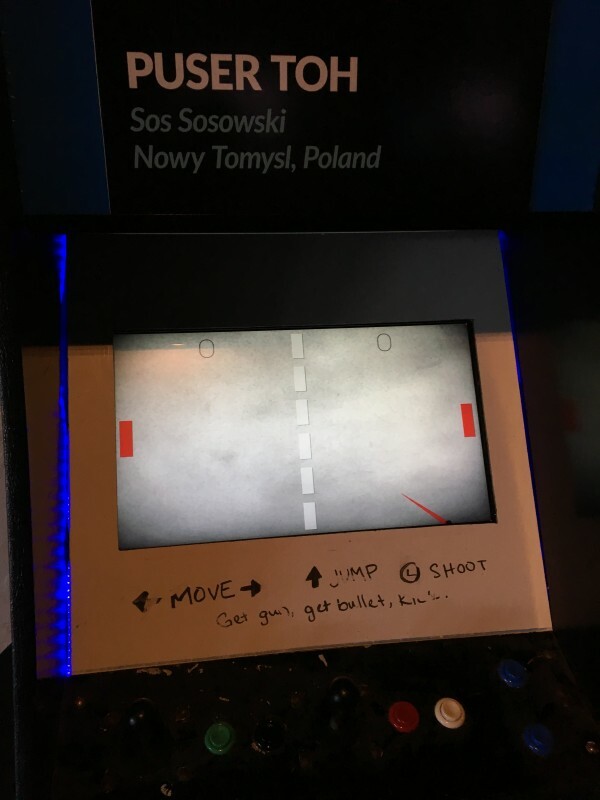 Instead of shooting each other, it’s Pong. 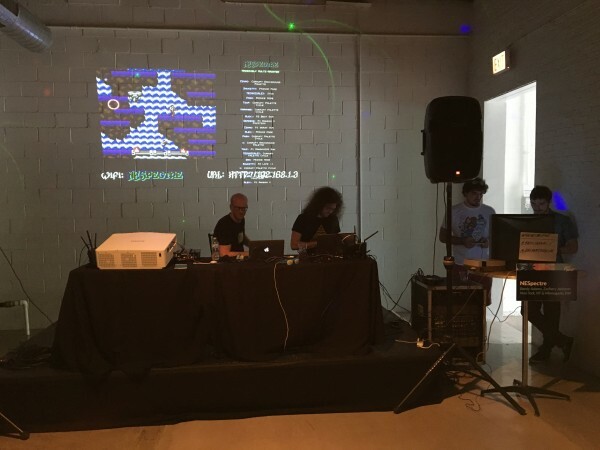 A fun spin on a classic, though it was in a cabinet at Bit Bash, Puser Toh is free online. Check it out in the link above. Fossil Echo was the game I sat down with the longest, and not just because there wasn’t a line. A surprisingly engaging platformer with an amazing aesthetic and great soundtrack. 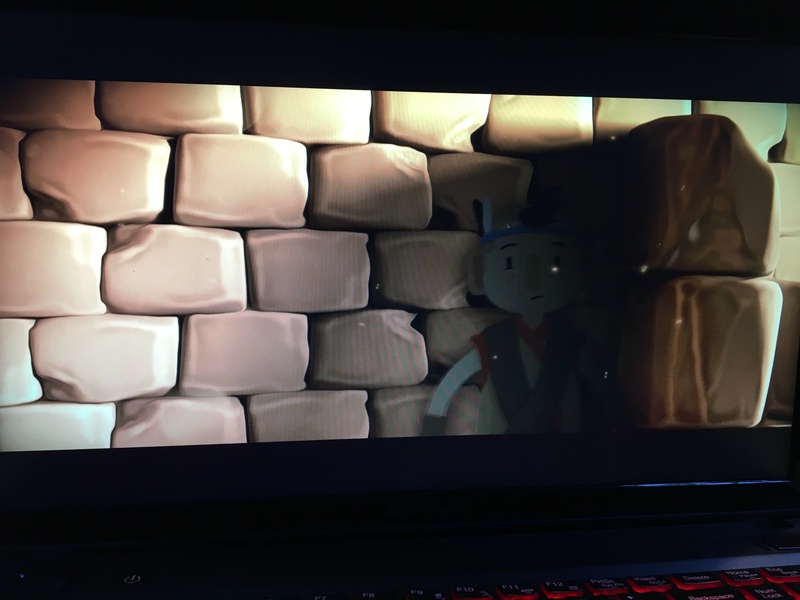 The 2D graphics are gorgeous. It gave me a very Limbo vibe in that it’s a silent platformer telling the story of a child. I didn’t get many good screen shots thanks to my engagement with the game. Beyond the platforming there’s also a stealth element that makes it even more engaging. It’s available on Steam right now and I highly encourage people to play it. By far the funniest game I played at Bit Bash, Arena Gods is a multiplayer battle arena that is just as much slapstick as it is competitive. Players take on a faceless warrior with one goal-kill everyone else. At first this can only be achieved with your fists, which doesn’t work very well. Other weapons and items are dropped throughout the maps and later in the match you can even tear off dead limbs to fight with. 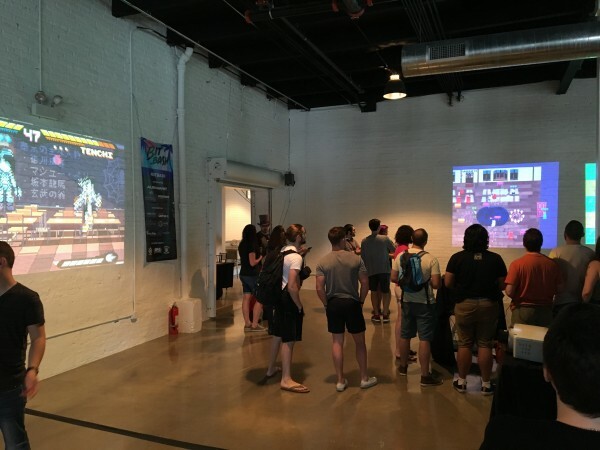 Arena Gods has the same fast back and forth that Nidhogg does but allows more players. The sound effects and wonky back and forth make this a must have for my next gathering of my idiot friends. The last game I ended up playing at Bit Bash was Action Painting Pro, a platformer with set pieces that move around as you collect items. 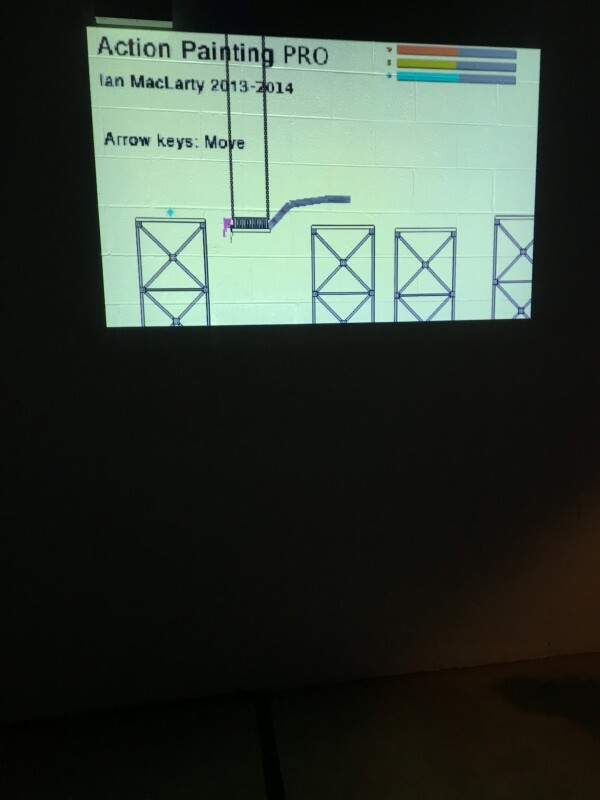 Each item you collect is a piece of paint and your character leaves a trail as you bounce around the map. It was a fun little game that leaves behind your “artwork” when you die. 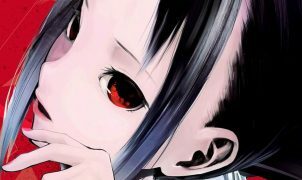 It was fun to mess around with, and like many of the other titles I got to try it is also free online! Check it out at the link in the header. Thus closed my first Bit Bash. I was pumped full of coffee and video games and was off for the night. There were about a million things I missed, including musical performances, VR games (with the world’s longest line) and tons more games. 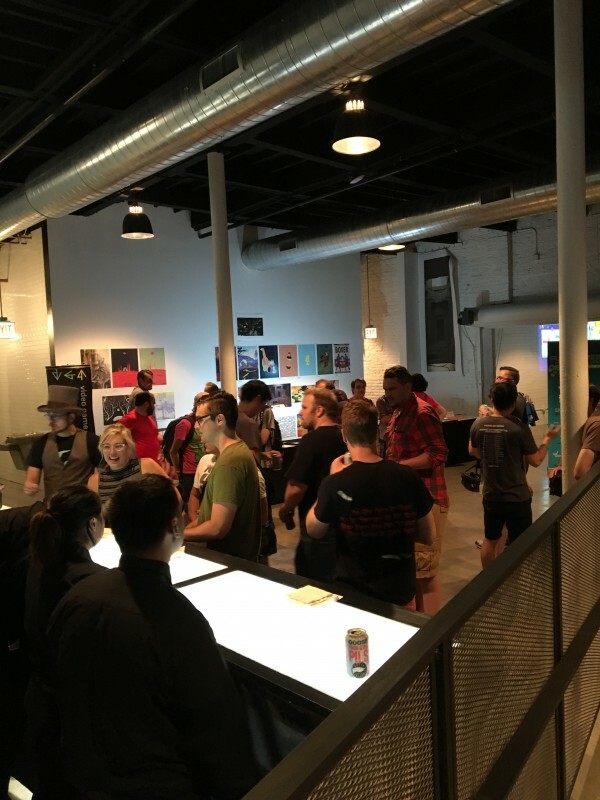 Check out the complete list of games over at the Bit Bash site and see if there are any independent developers in your community to support. This sort of event shouldn’t be rare, especially with how diverse the gaming community can be.